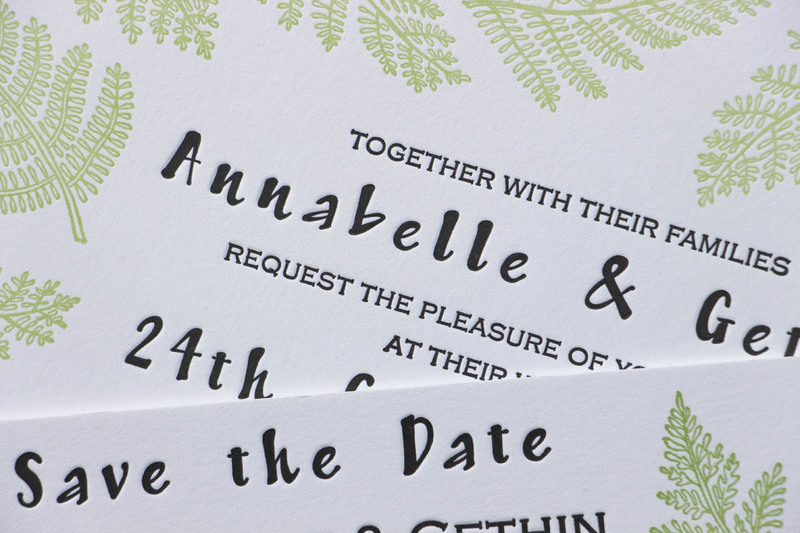 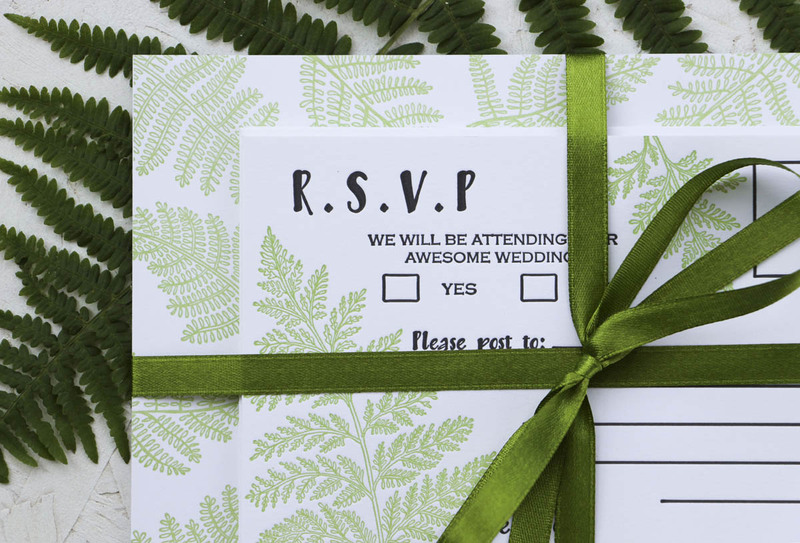 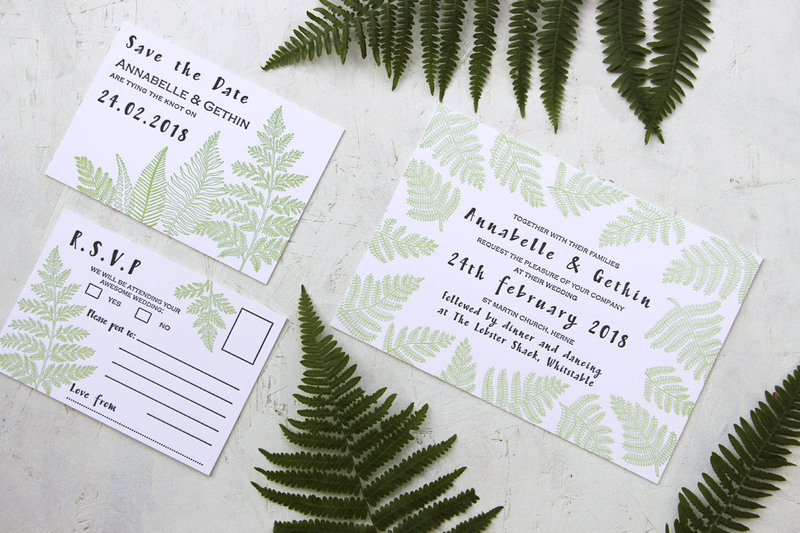 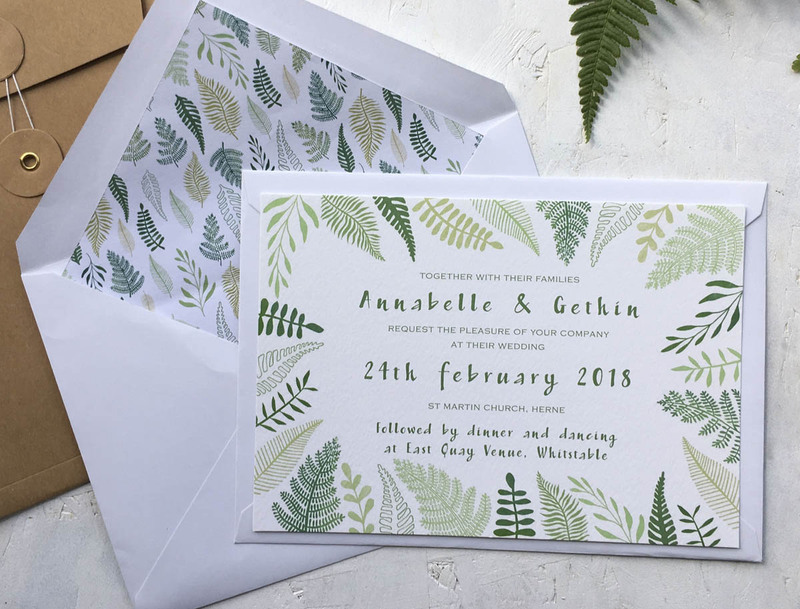 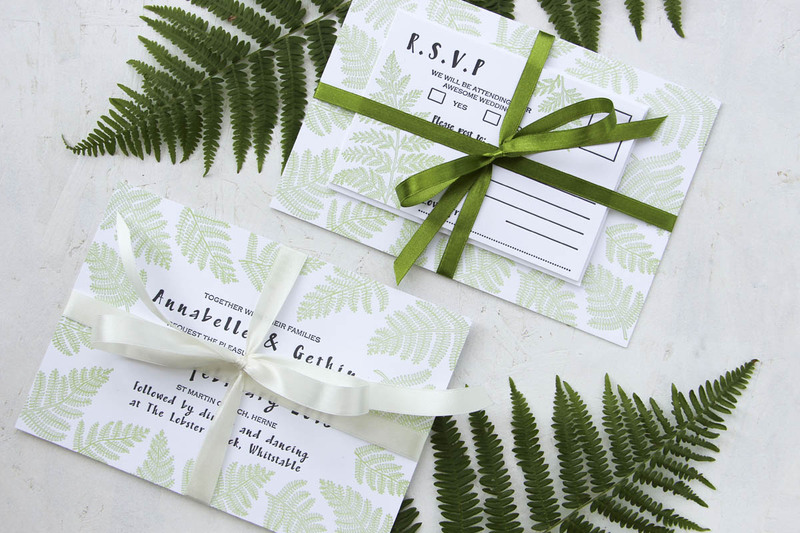 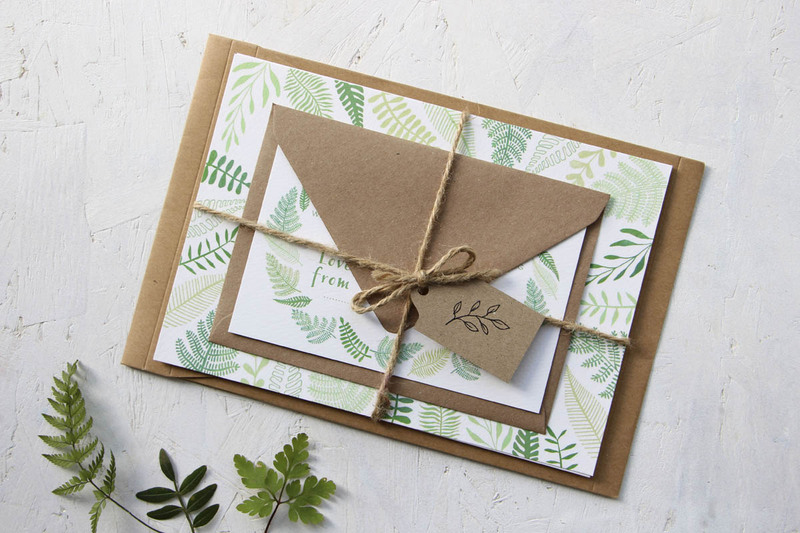 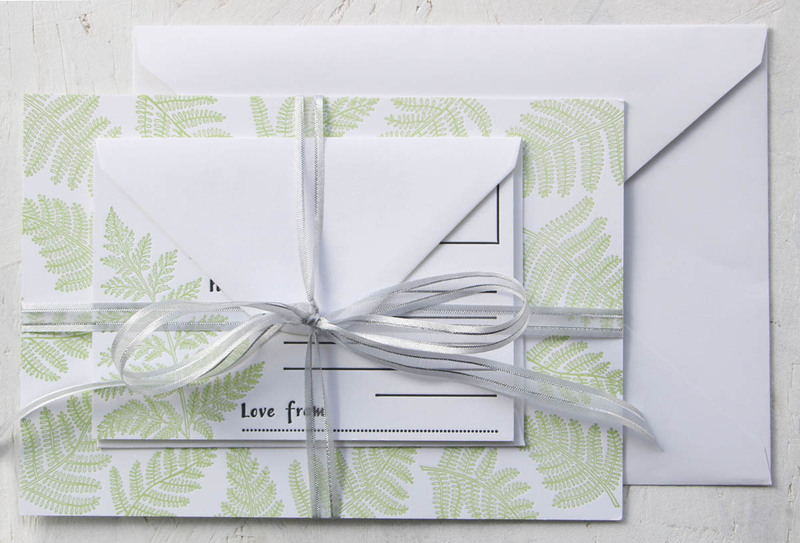 Featuring bold botanicals and gorgeous greens, this range offers two distinct design options, adapted to suit either letterpress or digital printing. 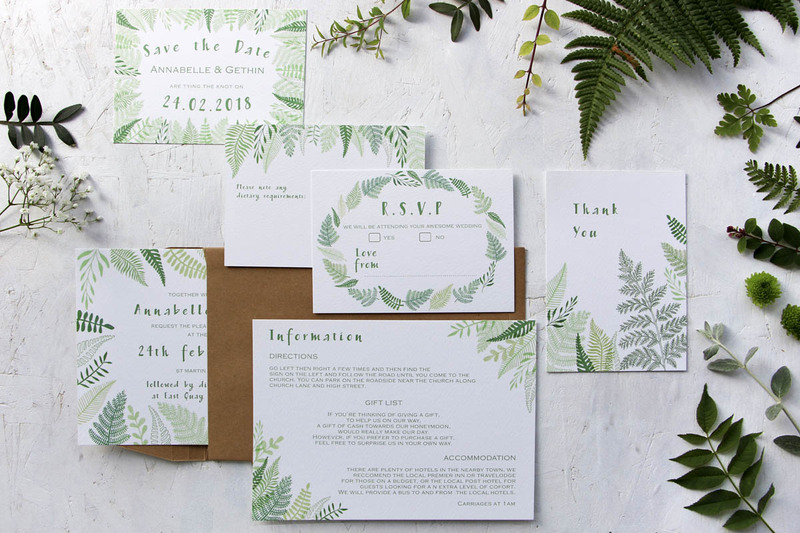 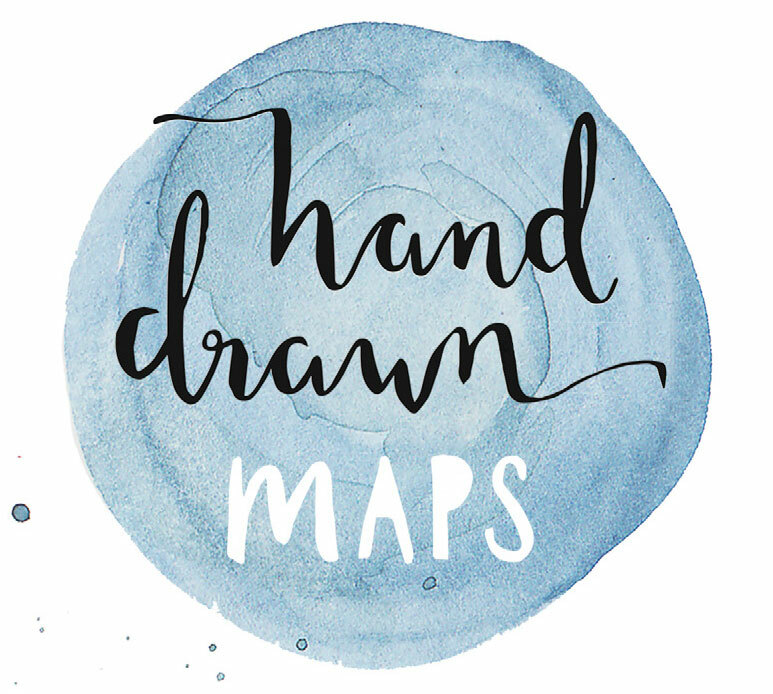 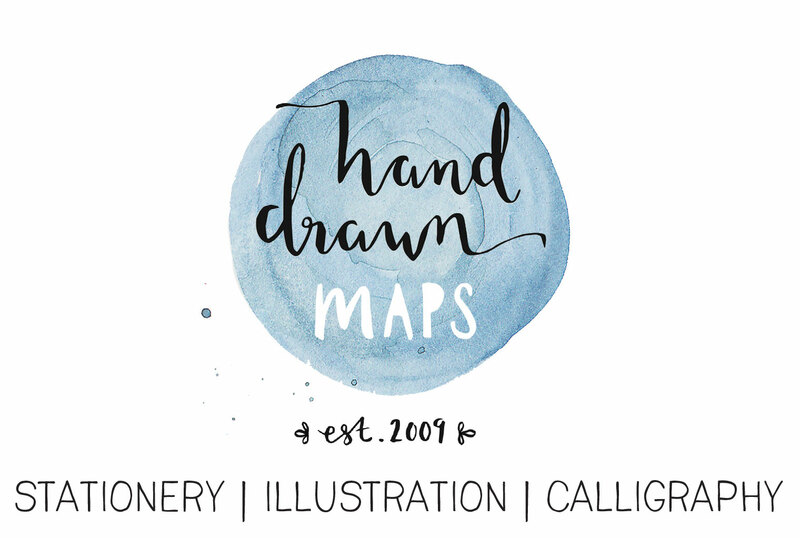 The main invitation is a sizeable A5 to create impact and let the design sing out. 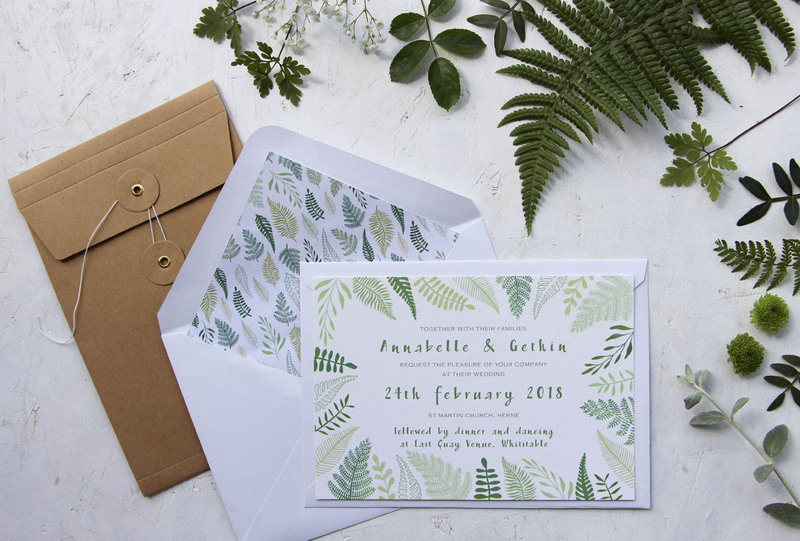 Personalise your invitation with your own choice of envelope and ribbon colours, to add elegance, luxury or a rustic feel to the final suite.